Call HD Foundations. We’re A Euless Foundation Repair Contractor That Ends Problems Using Good Repair Methods. 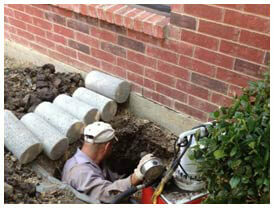 For foundation repair in Euless, TX, rely on contractors that utilize the best methods. Contact HD Foundations. We use effective techniques, free estimates and a lifetime warranty. HD has served the Mid Cities and Euless for years. As a solid foundation repair company, we guarantee the foundation piers we install. So contact us for a foundation evaluation today. Because we’re contractors who stop slab foundation and pier and beam issues. HD ends foundation cracks, sinking and settling. We’re a foundation company that has worked with North Texas soils for years. We know how they react to heat and moisture. 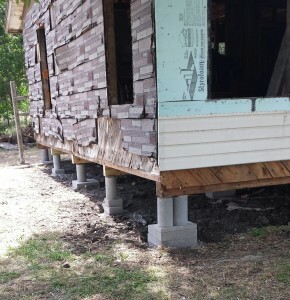 When we do a job, HD Foundations installs foundation piers correctly. If you’ve seen indications that your foundation is out of level, we’ll raise it. We stop foundation repair problems. Our company performs commercial and residential service. We’re a Euless foundation repair contractor that prevents structural foundation damage. Our services help you avoid foundation upheaval and other kinds of trouble. When a structure needs foundation repair, we identify the source of issues. 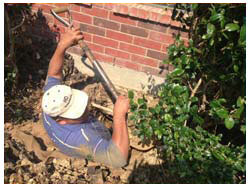 We inspect Euless houses very carefully for concrete slab foundations cracks. We also look for exterior brick fractures, and wall and ceiling gaps. We also check for sagging or sloping floors. We correct these foundation issues. We employ two techniques: interior/exterior pressed steel foundation piers or pressed concrete foundation piers. We’ve install them in Euless for years. 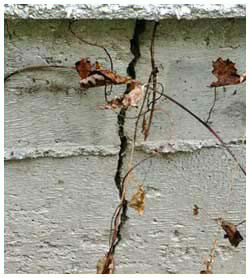 Our foundation repair methods make your home upright and stable, When needed HD installs and adjusts foundation shims. It’s not uncommon for a foundation to require a re-shim using 1/4″ steel plates. Our procedure for house leveling prevents ongoing foundation problems. That protects your Euless structure. As part of our crawl space repair process, we check under house foundations for mold and wet crawl space damage. It often affects pier and beam structures. Even slab foundations get water damage. If a French drain or other system is required, we can install one. Our company provides customers with a lifetime foundation repair warranty. To stabilize your commercial structure, apartment building or residential property, get a Euless foundation repair estimate free. Schedule a foundation evaluation online today. Or if you prefer, please give us a call. We service the entire DFW metroplex.